View Poll Results: How do you think Dumbledore and Snape viewed their relationship? I didn't really get the father/son vibe from the Dumbledore - Snape relationship. Dumbledore didn't seem to allow people to get that close to him with the exception of Harry and perhaps some of his off page friends - oh, and perhaps Minerva. But with Snape I think Dumbledore had a more co-worker attitude, even in their private dealings. I think Dumbledore felt that Snape wanted to be seen as his #1 man in the Order - but Dumbledore ran a dictatorship, so that was impossible. Snape didn't seem happy being kept out of the loop on so many levels. He wanted to know what Dumbledore and Harry had met about and I suspect he felt that way when Dumbledore met with other Order members as well. I think Snape eventually gave up on the power quest because it was obvious that Dumbledore wasn't going to ever have a right hand man. Nonetheless, Snape was manipulated by Dumbledore, imo, and I think Snape at times felt that was the case and was none too happy about it. Dumbledore often called for 'promises' made by others - and in Snape's case, the promises had been wreched from him via a bit of trickery - he was not likely the only one. So I think there was likely a bit of resentment on Snape's part in their relationship. I also think Snape and Dumbledore did not have a father/son thing. They met and agreed on one thing. To defeat Voldemort and his death eaters and get Harry out of that war, alive. To that common goal, I think, both worked together and Snape recognized Dumbledore was the leader and he obeyed him in all those areas. Areas of Voldemort, death eaters, spying, passing on mis - information and getting information from Voldemort. On all other areas, I really don't think Snape appreciated or was a huge fan of Dumbledore. Snape did not have that trust when he came running to Dumbledore (he thought DD would kill him and I really don't think his opinion of Dumbledore vastly improved later)Dumbledore was too aloof, and I also think he was pretty unapproachable as a person. He was an intensly private person and Snape was another and the way they met to work together also suggests that they were at best only working partners. And of course they worked well together, because Snape did recognize Dumbledore's capacity for leadership and knowledge. But I don't think Snape wanted to be seen as the no.1 man in the Order. I think had Snape survivd the war, he would have left Hogwarts and gone away to lived his life in solitude, doing research or some such thing. Snape wanting to know what Dumbledore was doing with Harry in all those special lessons, IMO was not wong. Snape was going to kill Dumbledore and afterwards, he was to help Harry who along with the entire WW be out for his blood. To know what Harry was learning (it was so obviously connected to Voldemort; Dumbledore himself says so about now wanting to put everything into one basket dangling on the arms of Voldemort) and had Dumbledore told Snape, I believe that SNape would have only helped if he had known about the horcruxes. I think Snape and Dumbledore worked together to make sure Lily Evans didn't die for nothing. I think that's the only reason why Snape came back. He was so intent on the Dark Arts and waiting to join up to Voldemort, I don't see any other reason why he would have stopped. Because he loved Lily. On all other areas, I really don't think Snape appreciated or was a huge fan of Dumbledore. I do think he came to feel affection for him, though. He seemed genuinely upset by his injury, and agreeing to kill him was something I think he did for Albus as a person, not for the war. Yes, I see no evidence for this either. He wanted (to the limited extent this was possible, for a spy) to de appreciated for his efforts, but I never got the impression he was competing with others who might have a shot at such a postition - Minerva, or Moody, for example. Snape wanting to know what Dumbledore was doing with Harry in all those special lessons, IMO was not wong. On the contrary, it's common sense. How is he supposed to protect Harry when he has no idea what Harry is up to? I believe that Snape did want power, but I would agree that is not what kept him working for Dumbledore. I think he wished to be a powerful and impressive man in the Order so he could lord it over people like Sirius and Remus - and even Harry. But Dumbledore didn't rank his assistants. But I feel that was of secondary concern to Snape because he wished to remain loyal to Dumbledore in order to square his head over what he'd done to Lily and avenge her killer. If Snape had quested power, he would have killed Dumbledore only if he could take his place - which he did not do. He would have done the same with Voldemort, if that is what his main objective was. That would have been awesome, imo, but that was not Snape's main goal, and even as a secondary goal, he only wanted to be 2nd in line, imo. I respect your view, but that presupposes that Snape wished to protect Harry. Imo, he was doing it against his will the whole time. He loathed Harry and couldn't care less if the child was killed. He only protected him because he'd promised to do so and that promise only meant anything at all to him because he wished to square his head over what he'd done to Lily. But imo, Snape took no pleasure in the chore and had no desire to do it; he did as little as possible in that regard. Snape's protection came when he was on the spot or put on the spot (just happened to be in the right place at the right time - or made to be there). I agree when he was put in the position to protect, he did his best. However, imo, Snape never looked to protect Harry - he never sought out ways and means to do so and his inquiries about what Harry was up to with Dumbledore reinforce my belief because Snape knew that Harry's primary protector was Dumbledore and thus, if Dumbledore was keeping things from him, he didn't need to know those things. Snape was wise enough to know that, so his purpose could not have been to get information in order to set up extra plans for protection - without Dumbledore knowing about it...that would be detrimental to Dumbledore's efforts. That I felt was more because of the years of working together. You don't wish for someone you've worked with for more than 18 years to die. Snape felt for Albus, I agree, but genuine affection, I don't know. I really don't know. I also agree that Snape may have killed Dumbledore for his own sake, Dumbledore's I mean, but that also need not mean affection. That could be because he realized that Dumbledore wanted to die quickly and not be played with by Bellatrix. Snape is first angry that Dumbledore thinks Draco's soul is worth saving while his is not. He sounded very hurt IMO. But when later Dumbledore implies that it would not be murder if Snape did it, because he would be casting the curse on Dumbledore's request, Snape calms down and agrees more or less. I agree. POA is where we see him talk to Fudge who says he could receive an Order of Merlin. But that was for the capture of Sirius who was a criminal to all their eyes at that time and for saving Harry, Hermione and Ron from Remus. Apart from that, we see no where that Snape wants to be in the limelight, or wanting to be incharge of Remus and Sirius and Molly. And it's here I feel like calling Dumbledore, Dumbles LOL. He tells Snape he cannot reveal what Harry had been learning in those special classes, but he wants Snape to kill him. Doesn't matter if Harry would froth at the mouth and vow to kill Snape, all because he killed Dumbledore on his request and so what really, if Harry called Snape a coward, Snape was to somehow protect Harry at all costs and pass on the most important information to him! DUmbledore does not want much does, he? I think he wished to be a powerful and impressive man in the Order so he could lord it over people like Sirius and Remus - and even Harry. I would respectfully disagree with you. To me it looked as if Snape did not care much for or respected Remus and Sirius. Why should he? They were not friends. And I also feel that he never wanted to be a part of the Order as such; not like Sirius, Arthur or Remus. He was not among friends for one thing and I think its thanks to DUmbledore who kept Snape very ambigious that no one trusted him either. To become a leader of a group like that is at best a headache IMO and Snape to me never looked as if he aspired for it either. With Harry, I think the equation was different. It was a love/hate kind of a thing, where I believe Snape refused to acknowledge his own feelings. He kept Harry firmly, intentionally at a distance always. With Harry, I think Snape would like to be in command, mainly because I feel that it may have made him think that he could protect Harry better, and I think he would have too. He would not have kept this many secrets from Harry like Dumbledore did IMO. I think Snape wished to protect Harry. And I also don't think he was doing it against his will. We don't see anything to that effect at all IMO. He protected Harry because he promised to do so, I agree, but I don't think he equated that with Lily. He wanted Voldemort's death for Lily's death. I think that was what would square it for him. Harry was her child and he agreed to protect him. I also agree that Snape may have killed Dumbledore for his own sake, Dumbledore's I mean, but that also need not mean affection. That could be because he realized that Dumbledore wanted to die quickly and not be played with by Bellatrix. It's still a huge thing to do for someone. Snape is first angry that Dumbledore thinks Draco's soul is worth saving while his is not. He sounded very hurt IMO. I agree, yet another thing that makes me think Snape felt affection for Dumbledore, and did not expect to be disregarded in this way. I think Snape wished to protect Harry. And I also don't think he was doing it against his will. We don't see anything to that effect at all IMO. I would take out the opinion language. If anyone thinks we do see Snape being coerced by Dumbledore into protecting Harry, I would ask them to tell me where. He protected Harry because he promised to do so, I agree, but I don't think he equated that with Lily. He promised to help Dumbledore protect Harry so that Lily's sacrifice would not have been in vain. And the only time he expresses an opinion (PS/SS) Dumbledore feels Snape has been 'working hard' at this task. Last edited by arithmancer; January 16th, 2008 at 4:18 pm. I agree; but that's Snape! Is that convincing? Hmm. I think I'll have to think on this one. I hate giving anything to Dumbledore when it concerns Snape. lol. Last edited by The_Green_Woods; January 16th, 2008 at 6:23 am. Well in answer to your question, I would say the first example is in Dumbledore's office when the request was made. Snape declared that Harry didn't need any protection because Voldemort was dead. Then he reluctantly agreed to do it, illiciting a promise from Dumbledore in return. After that, Snape kept his promise, but I believe that the way Snape treated Harry in general and even at times when he was supposed to be protecting him, evidences his distaste for the job. Example: Snape suspects Harry went to Hogsmeade. In an effort to protect him, he begins a tirade during which he belittles Harry and his father, setting Harry's back up completely and Harry feels only anger. Lesson not learned. Lupin steps in and takes over - lesson learned. Example 2: Snape is called upon to protect Harry specifically against Voldemort by teaching him occulmency - Snape, the adult in the sitution, allows his emotions to once again rule him and fails at enabling this particular protection. Example 3: Snape is fleeing Hogwarts after killing Dumbledore, the DEs attack Harry and Snape calls them off. Then he proceeds to knock Harry about, taunt him and belittle his father, loses control and viciously whips Harry (protection over). Buckbeak had to come in and rescue Harry from Snape himself. Examples for 4: Harry was in danger in CoS in the chamber, in PS/SS in association with the stone, in OOTP at the DOM - and not in one of those incidents was Snape on the scene to help - despite being a good spy and able to trace Harry's every step if he so desired (note this was not during school class time). The DOM incident, Snape even knew about first hand. Now I am not saying that Snape should have rushed in, but the fact is, if he felt a need or desire to protect Harry that was based on a genuine feeling of need to do so, he would have spied and followed the child and he would have gone to the DOM at all costs. But Snape did not. He only did what Dumbledore asked him to do unless Harry was in trouble before him. Example 5: In GoF, Snape did not run up to Harry when he came out of the maze, hurt and carrying the dead Cedric - Snape did not bend down to assure himself that Harry was all right. If one is proactively protecting someone because they have a real desire to do so and they care, that would be the normal reaction. What is missing is any evidence that Snape protected Harry because he wanted to rather than because Dumbledore asked him to. I would be interested in any canon that showed Snape protected Harry because he had a fervent desire to do so, or because he cared. Last edited by wickedwickedboy; January 16th, 2008 at 6:40 am. I respect your view, but that presupposes that Snape wished to protect Harry. Imo, he was doing it against his will the whole time. Even if that's the case, he's still want to do it right, so it makes sense that he would want to be informed about Dumbledore's activities with Harry. Well in answer to your question, I would say the first example is in Dumbledore's office when the request was made. Snape declared that Harry didn't need any protection because Voldemort was dead. He simply made a valid observation. It was more like a question. When Dumbledore explained why Harry needed protection despite this valid point, Snape agreed. Where agreed is the keyword. He wasn't promised anything in return, he wasn't threatened, he wasn't blackmailed, he didn't have to be talked into it, he wasn't tricked into it. He agreed. Then he reluctantly agreed to do it, illiciting a promise from Dumbledore in return. Fact is, he "illicited" the promise after he had given his word. So he agreed first. Which doesn't sound like he did it in exchange of the promise - if that were the case, he would have made sure his conditions were accepted before he gave his word. Yes, he protected him because he had given Dumbledore his word that he would do so. What's wrong with that? In Dumbledore's office Snape had no reason to believe Voldemort was alive in any way. Harry has miraculously survived the AK and not only had he survived, but had rebounded the curse on Voldemort who was dead to all intent and purpose. Snape did not know about the horcruxes and he had no way of knowing that Harry would need protection from Voldemort in any way. Once Dumbledore told him that he believed Voldemort would return, Snape agrees and in fact does not want Harry to know about his forthcoming help at all. There is a killer on the street; a man who was the cause Harry's parents were no longer alive, a death eater, a traitor. Harry has been forbidden to leave the School premises on those grounds. But does Harry listen? NO, he runs off and is also foolish enough IMO to get seen by Malfoy of all people who tells Snape. I think Snape is well within his rights to scold Harry and inspect an old parchment Harry has on him and one he clearly does not wish to leave with Snape. I think Snape read that in his mind, though and he checks the paper to see if its safe and wen he sees the insults which he may have heard from the Marauders, I don't know about that, but to Snape those words make him turn to the floo and call Lupin. Here I think Dumbledore and Harry share the blame. Snape started well enough, but if Harry was never going to practise, because he kind of liked seeing the black door and was wanting to see what would lay beyond it, that was not going to help Occluding his mind any IMO. Snape also did not know about the scar, while I think Dumbledore had already begun suspecting. Harry did not know why his scar hurt so much and why he could see as Nagini. Snape did not know the scar was actually a part of Voldemort. So both of them were a bit in the dark there. Snape showed his impatience with Harry, especially as Harry kept coming out with memories of Voldemort meeting his death eaters. In fact when Harry breaks into Snape's mind, Snape is not angry nor does he shout at him. He seems shocked and surprised. So Harry not leaning Occlumency at that time is not Snape's fault IMO. ...and most especially, from the moment he agreed to kill Dumbledore at the start of HBP, is the single most impressive demonstration of self-sacrifice in a series that is littered with it. This is her post from the Snape's death V.2 thread in the Stone. This is so aptly expressed, I found it amazing. Snape has just killed Dumbledore and taken upon his head as the second most despicable man in the WW, next only to Voldemort, for the sake of the Light, Order, Harry Potter and Draco Malfoy IMO. An act that even Moody and Remus and Kinglesy would not agree to do for the repercussions that would follow. It is at this time Harry chases him and taunts him. Snape's mind at that time must have been terrible and yet, he merely counters Harry's curses, teaches him, shouts to the other death eaters to leave him alone until Harry calls him a coward; a coward at the time he had committed the most courageous act. Snape hexed him and ran away. I cannot see anything wrong in this. Well you answered it yourself. Snape could hardly come out into the open. It was he who alerted the Order memebers in OOTP, without which, Harry and the others would have surely died that day. In GoF too, Snape was feeling the mark burn as Voldemort had just called to his death eaters and until Harry returned, no one really knew where he had gone. With Voldemort having returned, Snape was at the threshold of going back as a spy. He could hardly come to Harry's assistance openly at that time IMO. Snape protected Harry because he wanted to and because he wanted to, he agreed to, is what I think and, I think he did it exceedingly well. Last edited by The_Green_Woods; January 16th, 2008 at 9:48 am. I understand your point of view. I would point out that even if Snape did feel affection for Dumbledore, this does not mean Dumbledore deserved to be the recipient of such regard from Snape. He may, or may not. I tend to come down on the side that he did, to an extent, have Snape's best interests at heart, so I guess I think he did desrve the regard I see Snape as having for him, but that I realize we will not agree on. I cannot seem to look past Dumbledore's treatment of Snape with respect to the Elder wand. That as I posted in the Dumbledore thread makes me think that even if Dumbledore respected Snape or perhaps even liked him, he was still sending him to death without Snape's knowledge. I feel Snape should have known and it was Dumbledore's duty to tell him, about the wand. While Snape may have felt affection for Dumbledore ( I am still in doubt on that) I think, had he not been desperately saving his life until he could give Harry his memories, he would have felt betrayed by Dumbledore's actions as well. Last edited by The_Green_Woods; January 16th, 2008 at 5:20 pm. In Dumbledore's office Snape had no reason to believe Voldemort was alive in any way. Harry has miraculously survived the AK and not only had he survived, but had rebounded the curse on Voldemort who was dead to all intent and purpose. Snape did not know about the horcruxes and he had no way of knowing that Harry would need protection from Voldemort in any way. Once Dumbledore told him that he believed Voldemort would return, Snape agrees and in fact does not want Harry to know about his forthcoming help at all. I agree with you, however what you have said does not show that Snape desired to protect Harry, it shows he did it because Dumbledore asked him to. I agree with you, Lupin told Harry off as well. But Harry only learned the Lesson of Protection from Lupin, not Snape, because Snape's loathing for Harry and James overcame any promise he'd made to Dumbledore to protect Harry. Snape's personal vendetta overcame all else and he turned to inflicting pain as his goal rather than ensuring a lesson was learned by Harry that would assist in protecting him against future danger. This was the point I was making. If Snape's primary goal was to protect Harry because that is truly what he wished to do, that would have taken precedence over his personal need to lash out at Harry when the opportunity to do so presented itself. Again, I don't disagree with you - but what you have said supports my point. Snape allowed his personal feelings of impatience and loathing to override his promise to protect Harry. Had the protection of Harry been Snape's primary goal - or even a salient desire - he would have ensured Harry was protected over his own petty concerns like embarrassment, anger and loathing at Harry looking into his pensieve. But Snape behaved as if he were doing Harry a favor against his will and since Harry messed up, Snape washed his hands of the Occulmency lessons. One who really wishes to protect someone does not wash their hands just because the going gets rough. Snape had everyone on his side here except Harry. 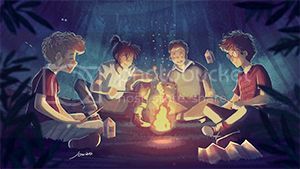 Ron, Hermione, Dumbledore, Sirius, and Remus were all very much concerned that Harry learn the Occulmency. All of them made a special effort to convince Harry to work with Snape and to learn the skill. But Snape was the only one who could offer the protection and he dropped the ball. Whether it was right or wrong was not the issue we were discussing. We were discussing Snape's protection of Harry. In this instance, Harry required protection FROM SNAPE. That was supplied by Buckbeak. That is why this serves as an example that Snape did not wish to protect Harry, but only did so based on his promise to Dumbledore. 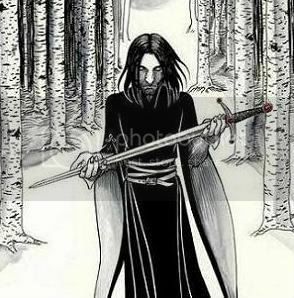 When the going got rough, he washed his hands of the promise, when the going got really rough, he attacked Harry himself - in both this instance and the one above, Snape proved that any protection he sought to give was a result of the promise he'd made and not out of a desire to do so, imo. I agree - but the point is, Snape didn't have to come out in the open to protect Harry if that was his desire. He was a spy, he could keep track of Harry if he cared enough to do so, but the fact is, he didn't care enough to do so. He loathed Harry and that is how Snape's character was written. Dumbledore made Snape promise to help protect Harry, and at times Snape attempted to do so, but often, his other priorities or simple dislike of the chore got in the way and he did not protect Harry. This, imo, shows that Snape was attempting to keep a promise he'd made to Dumbledore that he did not desire to do and was beyond his mental capability at times to perform. I believe their relationship was that of a father/son or mentoring sort. When Snape first came to DD, DD gave him firm guidance and showed him the compasion he needed to mend his broken soul. I don't think Snape knew how to show regret or even had a strong male figure in his life considering his unstable upbringing, housemates and companions. As for having Snape killing DD. I liken this to the euthanasia issue. DD knew that the end wasn't far off and chose to have control over his death. Just as a father relies on his family to carry out his last wishes, DD entrusted Snape to carry out his. No one else would have done it. The other professors would have protested. Although Snape protested somewhat, he respected DD and knew DD was right in how things must work to ensure Harry had the best chance to kill Voldermort. I think Dumbledore was astute enough to look at people and see what they needed from him and just how he could get what he needed from them. Snape needed a positive male mentor (desperately in fact - before that, all he'd known was Tobias and then Voldemort!) Dumbledore required someone with inside information of the DEs. I think he always wanted to help Snape make amends, but I doubt either of them would have fully predicted the development of a relationship of mutual concern. In 'The Prince's Tale' you see them confiding in each other and openly showing emotion - Snape's concerned anger at Dumbledore for his stupidity in putting on a dangerous cursed ring and Dumbledore's tears at seeing Snape's unchanged patronus. I believe this shows that they trusted each other and felt comfortable in each other's presence. Their relationship with each other was probably different from what they had with anyone else: Dumbledore may have been very well-liked and respected by colleagues and students generally, but he didn't generally give much away about himself. Then there was Snape who probably would rather have had the ground eat him up than have most people know what his personal traumas were! I definitely see the development of a father-son relationship between the two men. Perhaps one that could be a bit prickly, but one where there is care and a good deal of respect. I think of them as friends. One because they've been working together for so long. And two because of that chapter in the Deathly Hallows book where it explains everything. You can see that Snape really cared for Dumbledore. I think Dumbledore functioned as a mentor to Snape. I don't think it was as close as father and son. Otherwise, Dumbledore might have had more influence over how Snape treated Harry. Last edited by ComicBookWorm; January 24th, 2008 at 12:07 pm. I think Dumbledore functioned as a mentor to Snape. I don't think it was as close as father and son. Otherwise, Dumbledore might have had more influence in how Snape treated Harry. I agree on this. The snippets we got from Snape's memory about their interaction seem to show that on the one hand Dumbledore didn't approve on all actions Snape did (beginning with asking for Lily's life only), on the other hand Snape did not fully agree on what some have called the manipulating parts of Dumbledore still when he agreed on killing him and let Harry die as well. (Its another discussion if Dumbledore really ever wanted Harry to die though). When two people share such a huge secret (from Snape's never ending passion to Lily to their both knowledge on Snape being a spy over more than a decade), they have to become close and important to each other. They have to respect what the other does to a certain amount I think. But I also believe Snape's and Dumbeldore's relation showed that this still can be a rather professional relation. I think we see Snape showing Dumbledore great respect in many scenes, but I also miss - in order to be able to call their relation father/son-like - Snape accepting perhaps the most important lesson Dumbeldore learned himself as young man and lived after it ever then... showing similar respect to everyone as long as they did not prove themselves actually doing things which only prejudices contained before. Normally, I would agree with your take on this, it makes sense. However, how could Dumbledore acting as a mentor ask his beloved underling, Snape to kill him - knowing it would doom him to death? And leave everyone believing Snape was an evil, loyal Death Eater to his death? That makes me doubt the closeness of the relationship between Dumbledore and Snape. I don't Dumbledore was like a mentor at all, more like a leader and Snape one of his many pawns/soldiers. Dumbledore shared secrets with everyone that no one else knew about. As we saw in DH, he met with Kingsley and Remus and Kingsley asked Remus to tell him what was said in that meeting, knowing that only Remus would know because it was a secret between them and Dumbledore. Harry and Dumbledore shared secrets and I am certian Dumbldore did that with everyone working with him. So the fact that Dumbledore kept Snape's secret does not mean they had to be close under the circumstances. Dumbledore used any and everybody he could to bring down Voldemort - that was the greater good he was chasing. I don't think he allowed himself to get particularlly close to Snape or anyone else with the exception of Harry and possibly Minerva. That's a good point about a few deeper secrets Dumbledore actually shared with everyone. Under this view I agree that Snape's and Dumbledore's relationship actually was not different than to the one Dumbledore had with others. Just what makes me think it still has some other ankles, is that Snape seemed to have changed at the end from a Death Eater who only wanted to save the life of the one he loved to someone who actually tried to prevent some more lives. In his own words all he could take care for. I make the influence of Dumbledore guilty for these changes. They're - as said above - still not attending on the whole person of Snape. We saw that many characteristics of him never changed. But that's said I think I now agree with you. It makes Dumbledore more a leader than a mentor (who usually is more than a leader), and it puts Snape more in the function of many the one other members of the Order had too.